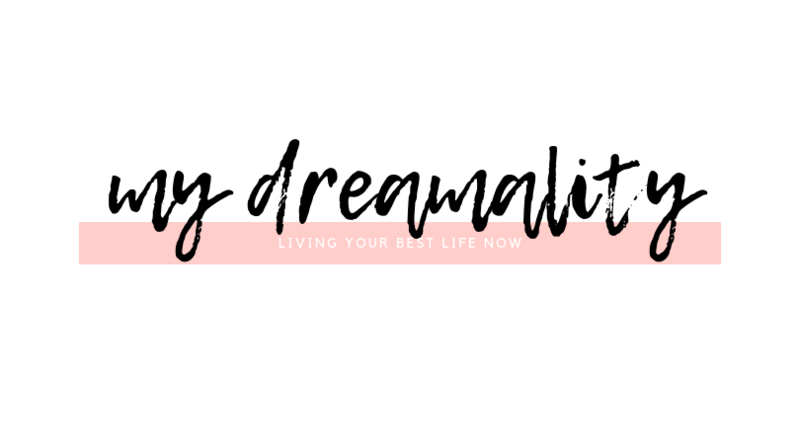 As a travel & lifestyle blogger, I find myself seeing some beautiful places and doing lots of wonderful things. I would count myself blessed, but sadly not everyone in this world is lucky enough to live the first world existence that most of us lead. There is hardship all around us, and even though those of us in the first world aren’t impervious to suffering, and poverty, there is a level of poverty many of us are lucky to have never experienced. 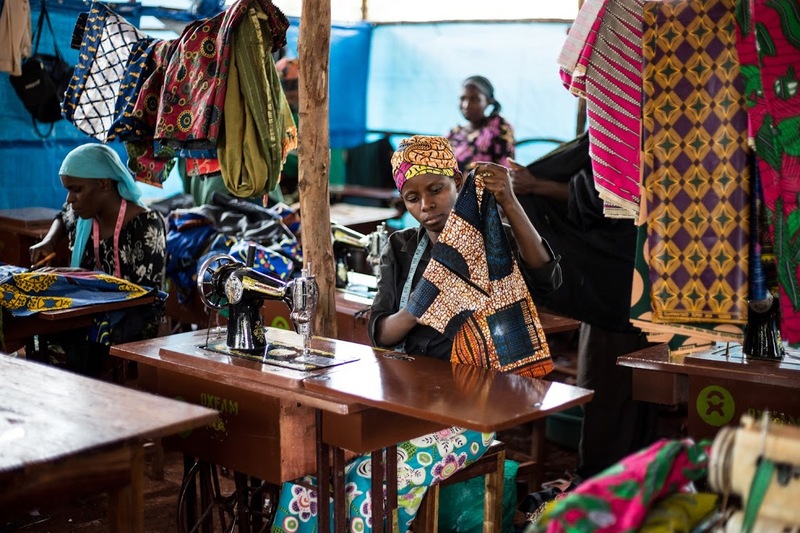 They say that hope is the last thing to die, and that couldn’t be truer than in the case of Buchumi, a Nyagurusu refugee camp resident in Tanzania. The story of Buchumi is one that I found especially compelling and I wanted to share it with you today. 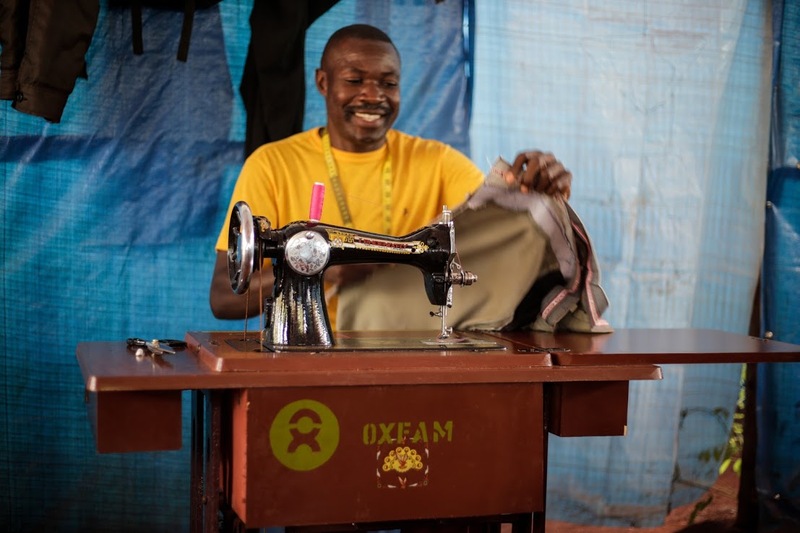 Buchumi who lives with his wife and children in the refugee camp used to be a teacher, before the fighting and unrest in his native Burundi led the schools to close down and his family to flee to a safer place. Not being one to lose hope Buchumi has retrained as a tailor to earn a bit of money to be able to buy more food for his family. As the small portions provided at the camp are not enough to feed himself, his wife, and his children adequately. 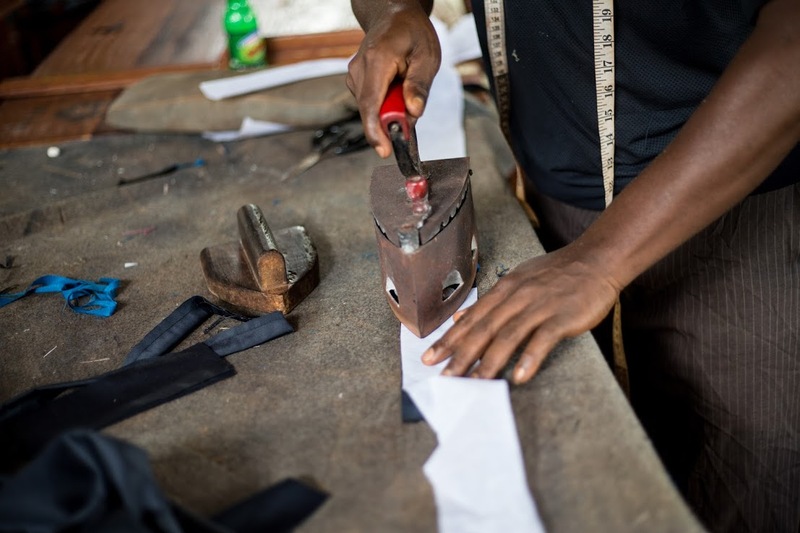 Buchumi is thriving as a tailor and has said that he loves tailoring and would like to continue doing it. 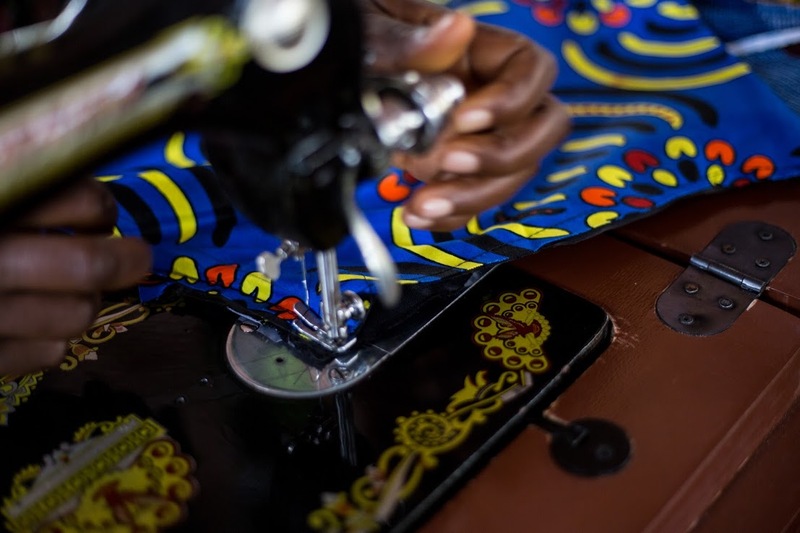 Being a tailor is a labour of love. You can create something beautiful out of nothing, but it takes training, tools, and equipment to do so. He is hopeful about the future and optimistic that with some improvements to his workshop he can continue his success. Sadly, the refugee camp they call home is now saturated with many more refugees from Burundi. One would think that the more people that are away from conflict the better, but sadly the camp that was originally set up to house Congolese refugees is now bursting at the seams. There have been 3 additional refugee camps created, which is great news, but each of those camps needs improvement in their sanitation systems and needs to receive adequate emergency supplies. 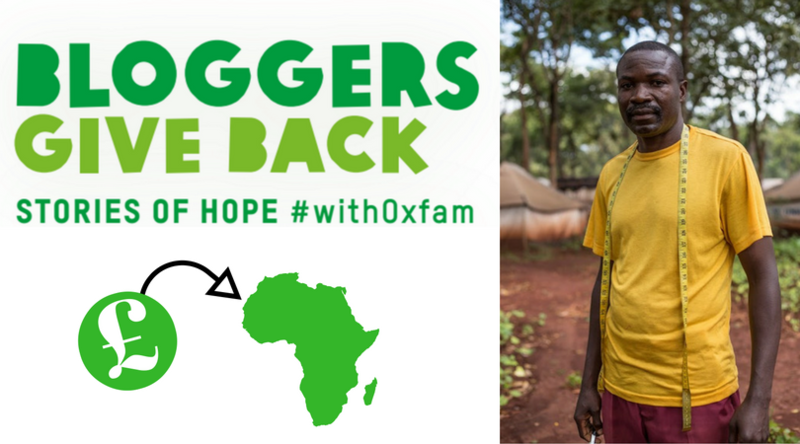 I urge you to join me and please donate to Oxfam online. There are many ways that we can help and give back. You can give a one-off donation, set up a monthly direct debit, or even donate your unwanted goods to an Oxfam charity shop to help bring in very necessary funding. If you are following my KonMari decluttering series you will be pleased to know that at the end of the process I will donate all of the clothing, books, and miscellaneous items I collect to my local Oxfam charity shop. On top of that, I will also be making a monetary donation. Regular donations of as little as £2.50 can help make up to 500 litres of water safety, which is enough water to last a family of 4 an entire month! As little as £20 can help provide a person access to a composting toilet, which can help prevent the spread of disease. And with a donation of as little as £24 a month, a family can learn to tend to their own allotment which in turn helps them eat. We are all so blessed to not have to live in the levels of poverty that people like Buchumi live in, and by giving up 1 item on our shopping lists, or 1 coffee a month and donating those funds to Oxfam we can help make a massive difference in people’s lives.